Cruise News Carnival Cruise Line Carnival Cruise Line Sending Some Sunshine To New York! The cruise ship which has all the FUN 2.0 upgrades will operate a set of unique cruises encompassing 20 voyages departing between June and October 2016. There will be a wide range of voyages available from the Big Apple featuring many different Caribbean port of calls. Carnival Sunshine will also offer a series of sailings from Charleston, S.C., and Norfolk, Va., in summer and fall 2016, providing exciting new cruise choices in these markets. 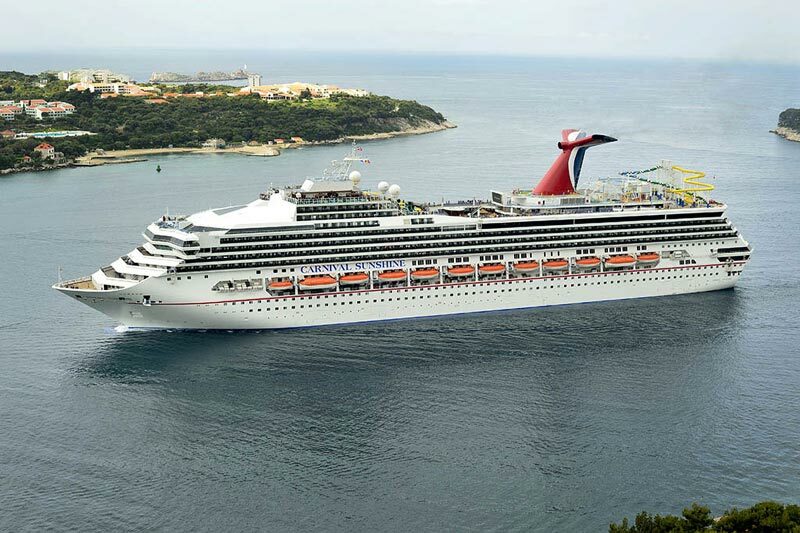 Following these departures from New York,Charleston and Norfolk, Carnival Sunshine will return to its current homeport of Port Canaveral, Fla., to offer a schedule of five- to eight-day Caribbean voyages from the Space Coast beginning in November 2016. Three Carnival Sunshine voyages – the nine-day cruise departing Port Canaveral April 29, 2016, the 10-day cruise departing May 30, 2016 from Charleston and the nine-day voyage departing Aug. 25, 2016 from New York – are part of the line’s recently announced Carnival Journeys series which Cruise Hive previously reported on. Carnival Sunshine which was previously known as Carnival Destiny underwent one of the fleets largest refurbishment with a ship re-naming and all the latest FUN 2.0 upgrades. Guest sailing from New York and other ports in 2016 will be able to enjoy the very best that the cruise line has to offer.